Other than just provide an argument for the value of the reactive and the improvised, the pieces in this book aspire to perform something else, something quite specific: as the title piece announces, mythology and writing are intimately intertwined things, so much so that the former is really the loftiest that the latter can ever wish to become. In other words, all fiction finally aspires to turn into myth, for myth is nothing if not narration wielding powerful and transfigurative magic over the communal psyche that invents it, providing not so much explanations as experiences of its innermost depths, its uppermost visions, its intuition of the transcendental, without which it would be quite impossible for any of us to grieve, to love, and be fully a person in this world. 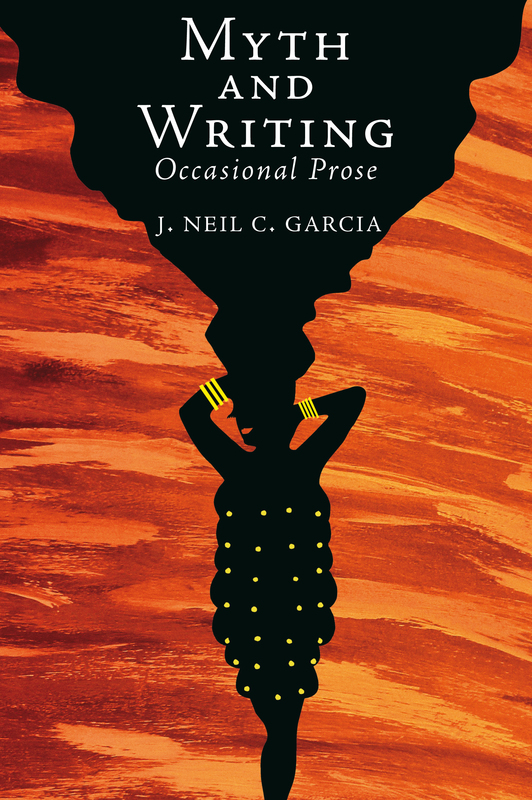 J. Neil C. Garcia teaches creative writing and comparative literature in the University of the Philippines, Diliman, where he serves as a fellow for poetry in the Institute of Creative Writing. He is the author of numerous poetry collections and works in literary and cultural criticism, including Our Lady of the Carnival (1996), The Sorrows of Water (2000), Kaluluwa (2001), Slip/Pages: Essays in Philippine Gay Criticism (1998), Performing the Self: Occasional Prose (2003), The Garden of Wordlessness (2005), Misterios and Other Poems (2005), Postcolonialism and Filipino Poetics: Essays and Critiques (2003), and the monograph At Home in Unhomeliness: Philippine Postcolonial Poetry in English (2008), whose accompanying anthology he edited for the Philippine PEN. In 2009, Hong Kong University Press published its own international edition of his Philippine Gay Culture (1996). Between 1994 and 2006, he coedited the famous Ladlad series of Philippine gay writing. He is currently working on a full-length book, a postcolonial survey and analysis of Philippine poetry in English, partial research for which he carried out in the United States in the spring of 2008, as a Fulbright senior research fellow. He is the editor of Aura: The Gay Theme in Philippine Fiction in English, published in 2012. This anthology gathers together Filipino anglophone stories and novel excerpts about the male homosexual character, by nationally acclaimed writers like Jose Garcia Villa, NVM Gonzalez, Edith Tiempo, and Ninotchka Rosca. His latest books are The Postcolonial Perverse: Critiques of Contemporary Philippine Culture and Homeless in Unhomeliness: Postcolonial Critiques of Phillipine Literature, both published in 2014. He is also currently at work on “Likha,” his seventh poetry book, which will be a sequence of lyrics about the generative power of mourning and fallible affection.